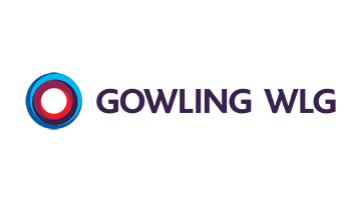 Gowling WLG is an international law firm created by Gowlings, a leading Canadian law firm, and Wragge Lawrence Graham & Co (WLG), a leading UK-based international law firm. We built Gowling WLG to provide clients with legal services at home and around the world, and to help them succeed no matter how challenging the circumstances. Gowling WLG clients have access to in-depth expertise in key global sectors along with a top-tier suite of legal services. With more than 1,400 legal professionals across offices in 18 cities worldwide and specialised expertise in countries around the globe, we’re positioned to help clients rise to the challenges they face – both today and tomorrow. This is an exciting opportunity, based in Birmingham, to support the Head of Diversity, Inclusion & Corporate Responsibility in achieving the firm’s ambitious Diversity & Inclusion (D&I) goals, in particular the delivery of the Inclusion 2020 strategy and plans. The successful candidate will be expected to travel to London when required. Work with the Head of Diversity, Inclusion & Corporate Responsibility to implement the commitments and actions set out in the Inclusion 2020 strategy. Work across the UK offices and with Canadian counterparts and champions in RoW offices, to ensure cohesion of aims and delivery and collaboration on initiatives. Undertake research into best practice and prepare influential proposals, where required. Design and day to day management of D&I initiatives, during pilots and once launched, for example, Mentoring scheme, Maternity Coaching, Diversity eLearning etc. Work with the HR Analyst to interrogate our people data, to provide insight on progress and areas for improvement. Work with early talent team and lateral recruitment managers to ensure we are attracting and recruiting from the most diverse talent pool. Prepare the Annual 'Inclusion 2020' Report, with the Head of Diversity, Inclusion & Corporate Responsibility. Act as the focal point of contact for the firm's five Employee Network Groups; coordinate meetings and activities of Employee Network Groups and quarterly meetings of network co-chairs. Create and monitor implementation of business plans for Employee Network Groups. Liaise with Mental Health Champions and Domestic Violence Champions across the firm, to ensure initiatives and actions are progressed and support and training is provided as needed. Produce quarterly Board updates to demonstrate the progress with Inclusion 2020. Work with the Corporate Communications team and others to develop communications and 'good news' stories for internal dissemination and the intranet. Respond to queries from individuals about Diversity & Inclusion. Support the Head of Diversity, Inclusion & Corporate Responsibility in developing collaborative working relationships with external partners, such as employer networks and membership organisations. Manage the relationships and delivery of programmes with external suppliers including Stonewall, Business Disability Forum, Working Families and Business in the Community. Develop meaningful D&I data and communications to publish externally and on the internet. Prepare relevant content for client/target pitch documents, and brief those involved in pitch processes, as appropriate. Prepare award entries and D&I/HR contributions to standards, such as the Stonewall Workplace Equality Index, Disability Confident, Solicitors Regulatory Authority and Law Society Diversity Charter. Knowledge and experienced track record of delivering D&I strategies and approaches to Inclusion would be a distinct advantage, particularly within a professional services environment. An experienced public speaker able to chair internal meetings and events as well as being an ambassador for the firm, liaising with suppliers, existing and potential clients and external D&I networks. Well organised with strong project management capability. Resourceful and able to use own initiative. Excellent communication and interpersonal skills – the ability to build confidence, respect and trust. Strong diplomacy, negotiation and influencing skills.